Workshops - Coastal Portable Buildings Inc. Need A Space To Store Your Items With A Working Area Also? Our workshop are the perfect building with a dual purpose. Our workshops are perfect for those who need storage and also the ability to work in their own space. Each model comes with your choice of a shelving unit or workbench to help you get the job done. Need organization? Need a workspace? it’s your choice. Different than our garages, the workshops flooring is built on 16” centers so not recommended for automobile storage. With A Working Area Also? 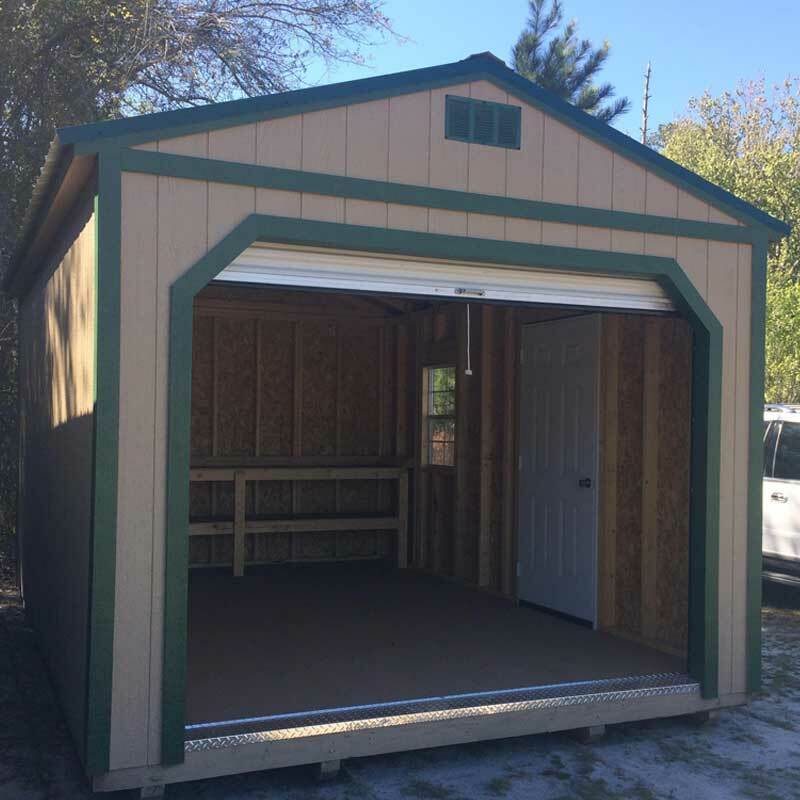 Customize or Create Your Building TODAY with our online Shed Designer!